I am that basic girl who loves everything about autumn. 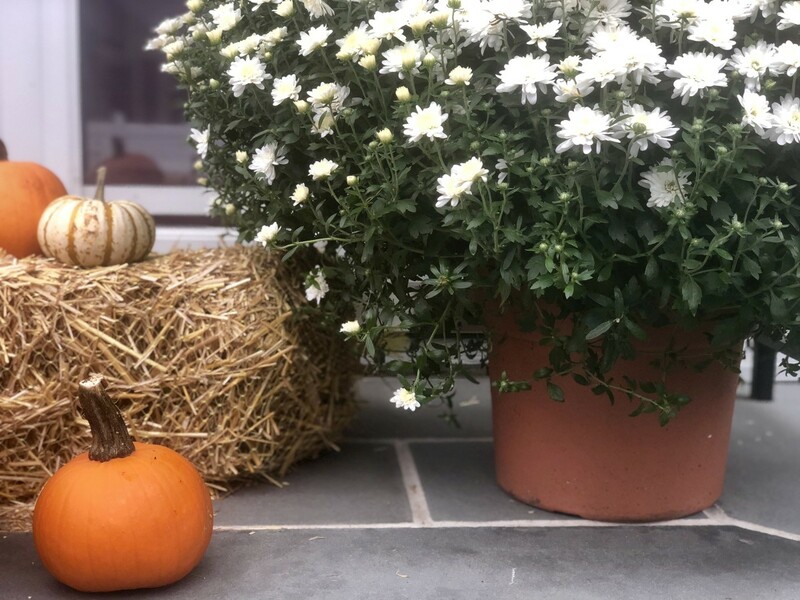 Pumpkins, sweaters, boots, leaves, and lattés--I adore this time of year in all its Instagrammable glory. The chill in the air and the color in the trees; I enjoy spending these fleeting months outdoors. Football games, parades, barbecues, beach walks, and playground adventures--I can&apos;t get enough of it. 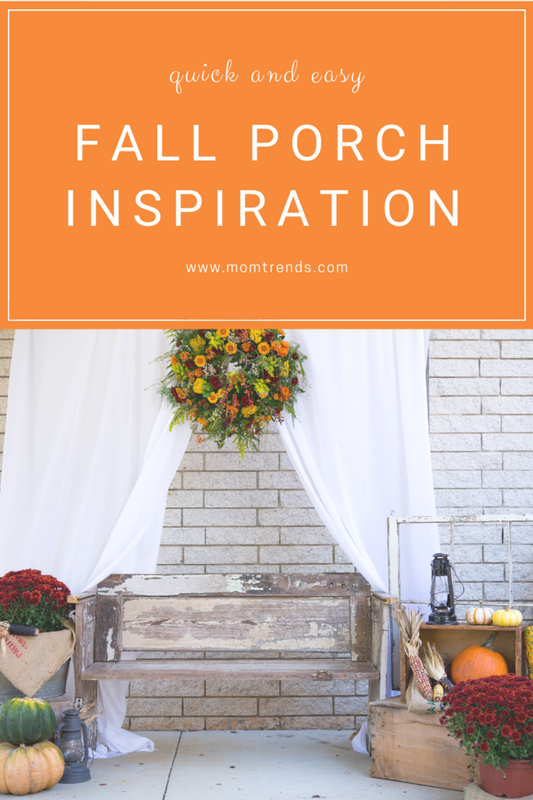 As a pumpkin picking, orchard hopping, corn-husk peeling enthusiast, I want to bring a touch of fall ambiance to my alfresco scene at home. I dream of a big porch with white rocking chairs and baskets of mums and bales of hay and gourdes galore. But those who live in a small cottage or NYC apartment can empathize, knowing that the real-estate struggle is real. My tiny house affords me just an itty-bitty stoop to decorate. Still, I make the most of it. I cover every inch with a piece of autumn prettiness. Play with height and stacking - With only a little bit of surface area to cover, I have to be smart, which is why I stack pumpkins on a bale of hay. The layering helps the area look full but also leaves some open space. 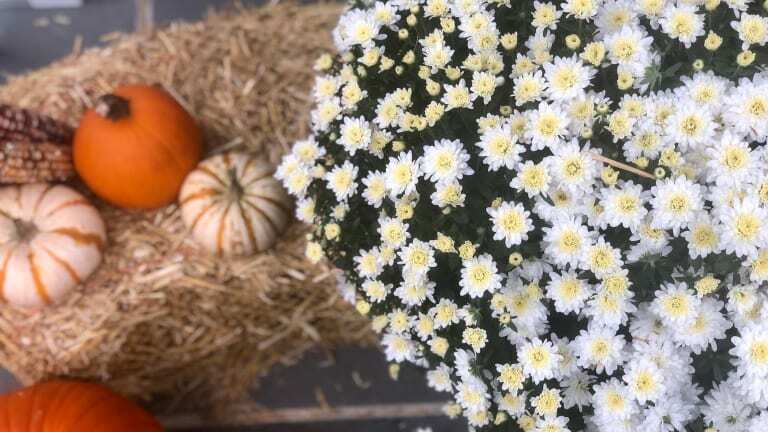 Go with a single bright color of mums - Don&apos;t get me wrong. I love all the mum hues--deep eggplant purples, wicked oranges, and sunny yellows, but a crisp white color brightens up my limited space and gives an illusion of airiness. 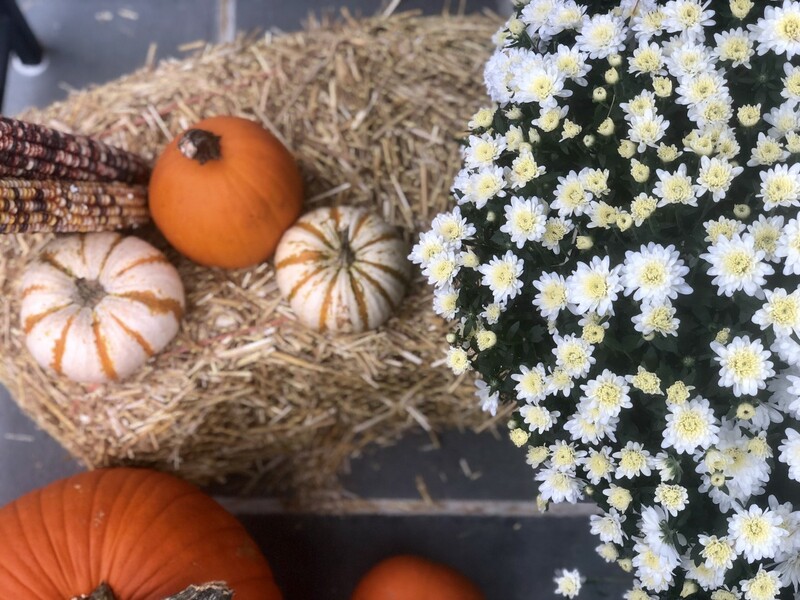 Break Out the Faux Corn Husks and Acorns - Want to break up the sea of orange and white? Add corn husks, acorns, or pine cones to your scene. Use windowsills - Don&apos;t have any outdoor space? Place small planters with mum on you windowsills or line with a row of small multicolored gourdes for a festive touch.